Pittosporum plants (Pittosporum spp,) produce large, glossy, evergreen leaves and fragrant flowers, which bloom in late spring. Common varieties grown in North America are Japanese pittosporum, or Japanese mockorange (Pittosporum tobira), hardy in U.S. Department of Agriculture plant hardiness zones 8 through 10, and sweet pittosporum (Pittosporum undulatum), hardy in USDA zones 9 through 10. Japanese pittosporum plants work well as both informal and formal hedges, or they can be pruned to resemble small trees. Annual pruning helps keep them manageable sizes. 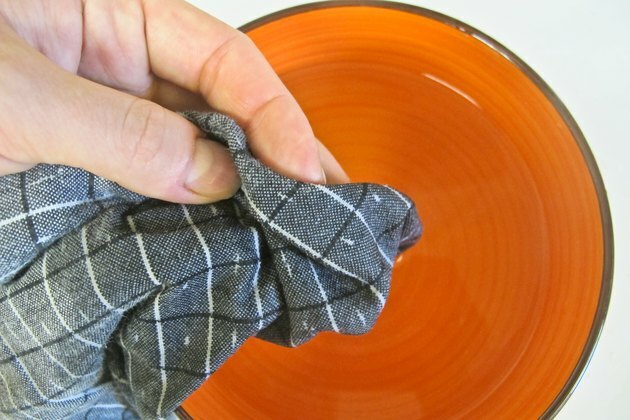 Soak a clean rag in isopropyl alcohol. Wipe the blades of bypass shears, hedge trimmers and a pruning saw with the soaked rag. Use this method to disinfect the blades after each cut through dead or diseased wood. 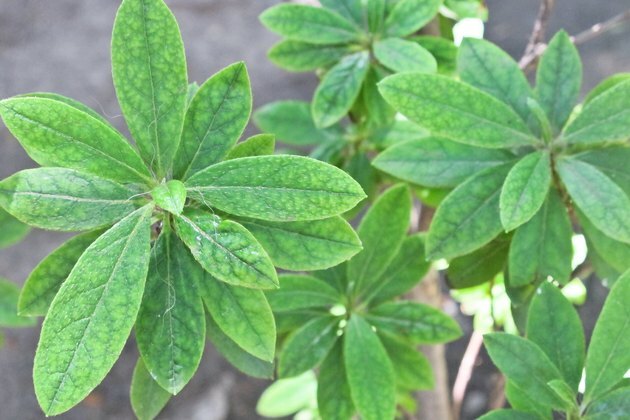 The isopropyl alcohol prevents the spread of plant pathogens. Cut out all dead or diseased branches of Japanese pittosporum hedges and bushes year-round. Remove each such branch back to the nearest healthy wood, making the cut within ¼ inch of an outward-facing leaf or bud so bare stem doesn't show. Trim back the remaining branches to create the desired shape of the hedges and bushes. If you have an informal hedge or bush, cut back its overgrown stems to the desired size, making the cuts within ¼ inch of an outward-facing bud. If you have a formal hedge, cut back its sides and top with hedge trimmers into the desired shape, making the base wider than the bottom. 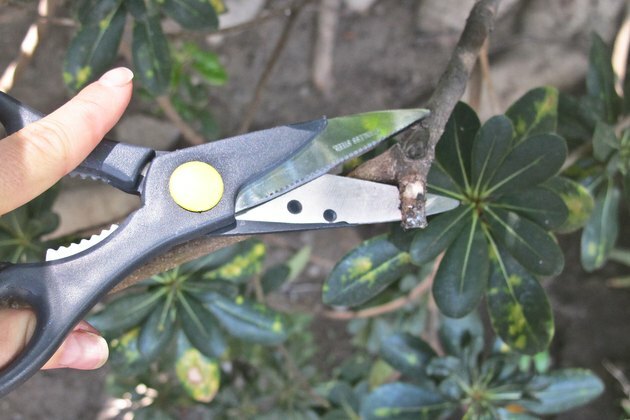 Hedge trimmers cut through stems and leaves indiscriminately, and so no need exists to cut near a bud. Prune Japanese pittosporum immediately after they finish blooming, if flowers are desired the following season. Trim back all overgrown stems or shear hedges lightly to maintain the size and shape of the hedges or bushes. 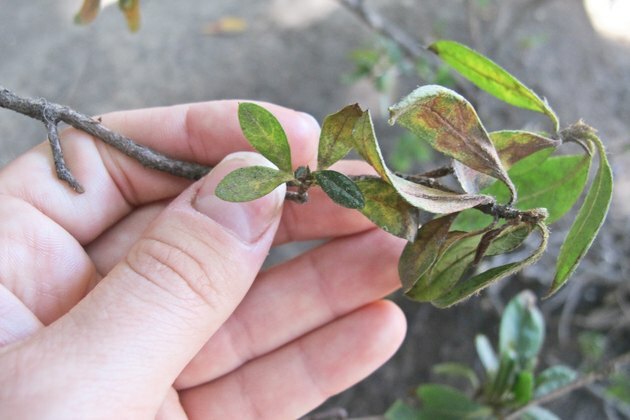 Late-season pruning can remove the following season's blooms. 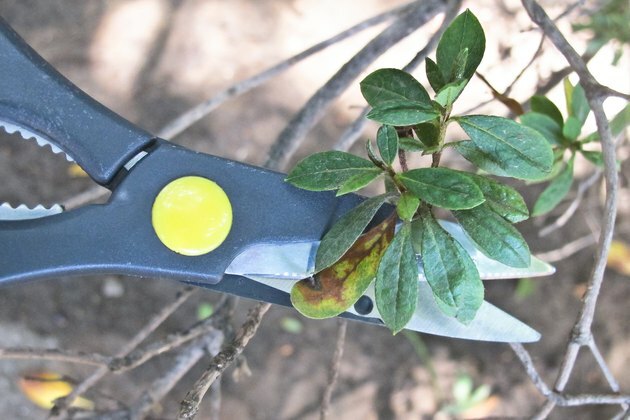 Cut out all dead or diseased branches of tree-form Japanese pittosporums year-round with tools that were disinfected with isopropyl alcohol. 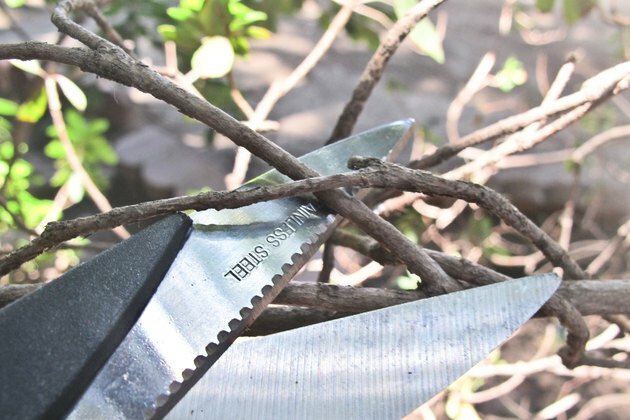 Use a pruning saw for branches greater than 1/2 inch thick and bypass shears for those narrower than 1/2 inch. Remove the branches back to the nearest healthy wood or the main trunk. Cut out each branch that crosses and rubs another branch, removing the crossing branch at its base. 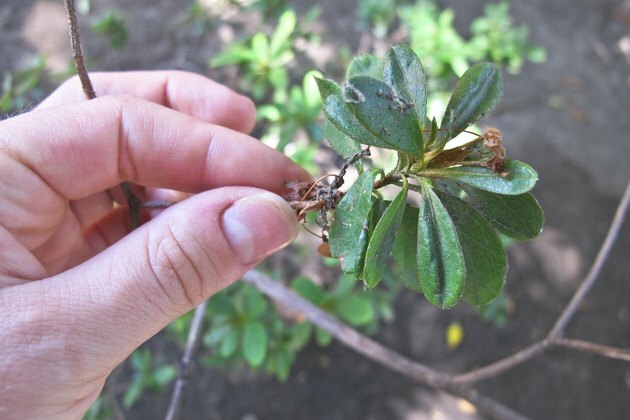 Prune off the lower branches beneath the main canopy of each Japanese pittosporum, or remove the branches from the lower one-third of the main trunk of a newly planted specimen. Cut back these lateral branches so that only ½-inch stubs remain. 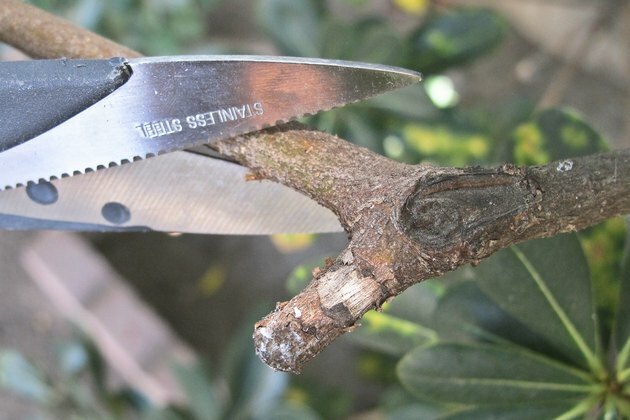 Trim off any suckers, which are weak, whiplike branches, from around the base of each tree-form Japanese pittosporum. Cut them flush to each specimen's main trunk. Shape and prune the pittosporum tree immediately after flowering. Trim back all overgrown branches to the desired length after flowering ends in midsummer. If flowers are desired, do not prune late in the season.